The New England Author Expo’s second Author’s Night by the Sea had over 22 authors, illustrators and publishers display their wares to the public. We also had about the same number of authors drop by to visit. We gave out seven free raffle prizes to the guests. 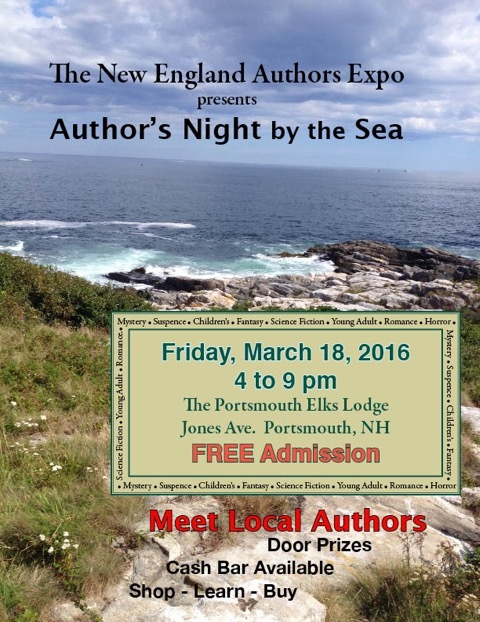 This event was held at the Elks Lodge in Portsmouth, NH on Friday, March 18, 2016. Set up started at 12:00 noon and the doors opened to the public at 4:00 pm. The event ran till 9:00 pm. The event was free to the public.